Are you ready for some football…and Glee? Watch 2 new previews! It’s almost Super Bowl time, and this year, that means it’s also almost Glee time! 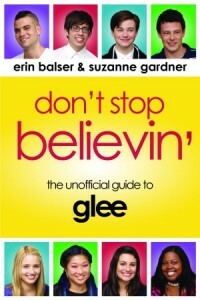 Glee will be returning immediately following the Super Bowl on February 6 with an episode called “Thriller”, and then just two days later we’ll get MORE new Glee with the Valentine’s Day episode “Silly Love Songs” on February 8. Tonight, during a re-airing of “Furt”, FOX showed two new previews for the upcoming episodes. You can watch them below, and let us know in the comments what you’re most excited to see when season 2 of Glee continues! I can’t hear the second promo, though. Sorry that you two can’t hear the promo! I’ve tested it on multiple computers and it works fine for me! Apologies, I’m not sure what’s wrong!